Logical backup is a copy of objects used in an application (e.g. database tables), that is made by accessing them through the application’s interfaces. 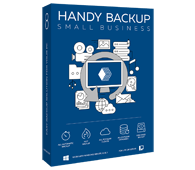 Unlike physical backup which is basically file-level backup made by simple copying of the program’s files, logical backup has higher accuracy, because it allows accessing data that is kept in memory and is not yet saved on the disk. An example of logical backup is the MySQL Backup plug-in of Handy Backup which connects to the database like a common MySQL client application and uses MySQL’s original connectors to export the data. To learn more about the plug-in, please refer to MySQL Backup. With the Small Server edition of our software you can protect data of your servers on both physical and logical levels. Try free for 30 days!